I am very excited to have Elaine from Elaine’s Cake Pops here to give us a tutorial on how to make easy Princess Cake Pops. Thanks so much Elaine! I know a lot of Mom’s that are gonna love this for their own Little Princesses! A single bite makes you want more. That’s the meaning behind Elaine’s Cake Pops: Eat. Crave. Pops! 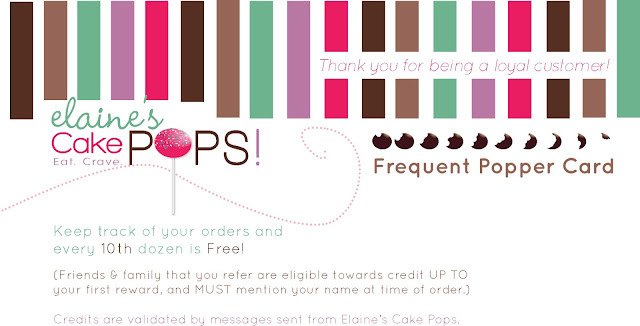 and Follow me on Instagram: ECPOPS for frequent ECPop Quiz chances to win credits towards a free dozen cake pops! ATTENTION: It is not advised to use copyright images for profit. Please print and use responsibly. Disney Princess® images can found on Google. Or Download it HERE. Simply print on cardstock paper and either cut each princess along their outlines or use a 2” round hole puncher, as used in this tutorial. Prior to dipping, make sure your candy melt is a nice, smooth, and runny consistency. You can achieve this by slowly melting your candy (microwave or melting pot) and stirring in shortening ½ teaspoons at a time. Pre-dip one end of your lollipop stick into your melted candy by about 1 cm. Insert your pre-dipped stick into your cake ball and allow the candy to set before dipping the entire ball into your candy melt. Once your inserted cake ball is at room temperature (which avoids cracks in your candy coating), fully submerge your cake ball into your candy melt and tap any excess candy back into your bowl. To detail your pops ,you can sprinkle sugar crystals to freshly dipped cake pops to add shimmer. You can also pipe on your details using whatever piping tool your prefer (squeeze bottles, mini pipe bags, or plastic baggies). Your options as to how intricate you’d like your Disney Princesses ® dresses to look is limitless. 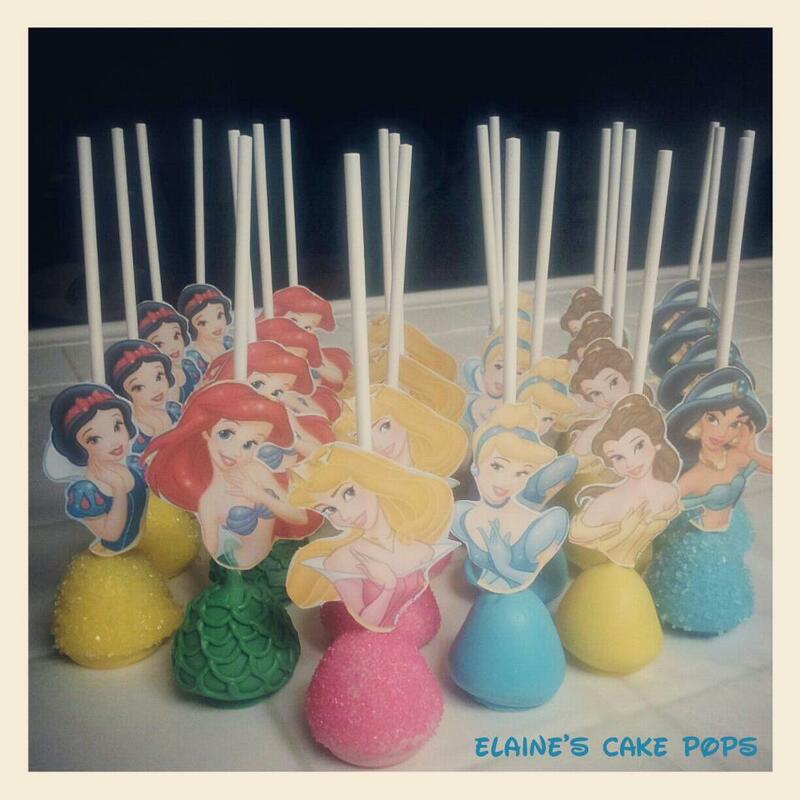 Once your cake pops have dried, you can then tape the backside of your tags to the lollipop sticks so that they line up with the Disney Princesses ® images. I hope you enjoy creating your fun and cute Disney Princesses ® cake pops for the favorite little princess in your life! Thanks again, Elaine! I’ve got to try these Princesses now! They are just too easy and so pretty!